NEW DELHI – India will probably not see the implementation of a GST system next year, and no changes are likely to be made until the next election is held in the country. 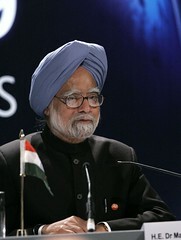 In a speech given on May 28th the Prime Minister of India Manmohan Singh indicated that the country could see the long-awaited implementation of a Goods and Service Tax by the end of 2014. The implementation of a GST system has been a widely debated and highly controversial topic in India for the last few years, with the supporters claiming that the it would boost economic efficiency by simultaneously replacing Central Sales Tax, State-level sales tax, entry tax, stamp duty, telecom licence fees, turnover tax. Opponents to the tax are contesting that the system would deprive state governments of their own tax setting powers and that the move would remove some autonomy away from regional tax authorities. The Prime Minister suggests that some of the opposition to the change may be politically fuelled, and the opposition to the move may fall away following the results national elections in April 2014. However, the Prime Minister claimed that regardless of which party wins the election, the GST would still be implemented, as there is a general consensus that the overhaul would make it easier for overseas investors to do business in India, and the move would increase the overall productivity and tax revenues of the country.